We often hear from musicians and recording engineers who need to boost listening volume of their headphones. I recently tried a set of Sennheiser HD-650s using the headphone output of a Focusrite Scarlett 2i2 interface and completely agree. Volume on the interface can be turned to 100% without threatening my ears. A headphone amplifier is the answer. Alas, mating pro audio gear with typical headphone amplifiers is less than straightforward. Audio interfaces are built to accept balanced inputs and outputs. Headphones and most headphone amplifiers are designed for unbalanced connections. What are Balanced and Unbalanced Connections? Unbalanced audio consists of a signal conductor and a ground conductor. 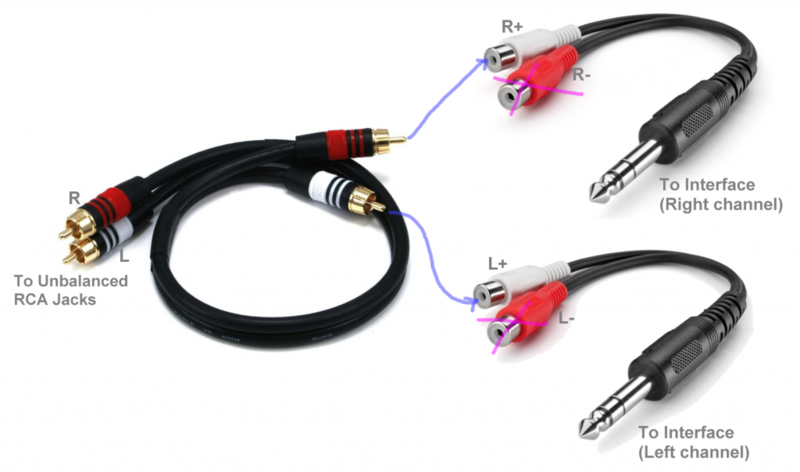 Thus, an unbalanced stereo audio signal requires only three wires: +L, +R, and ground. Balanced audio contains an extra inverting signal for each channel. Balanced, stereo audio requires at least five wires (excluding shielding): +L, -L, +R, -R, and ground. The equal and opposite signals in a balanced connection are subtracted at the receiving end, so that the signal level doubles and any symmetrical noise cancels out. Noise cancellation is why balanced output is standard in pro audio. Long cable runs and a plethora of devices need all the help they can get to keep a mix noise free. Make peace with your interface’s headphone output – It may not be loud, but it is free. 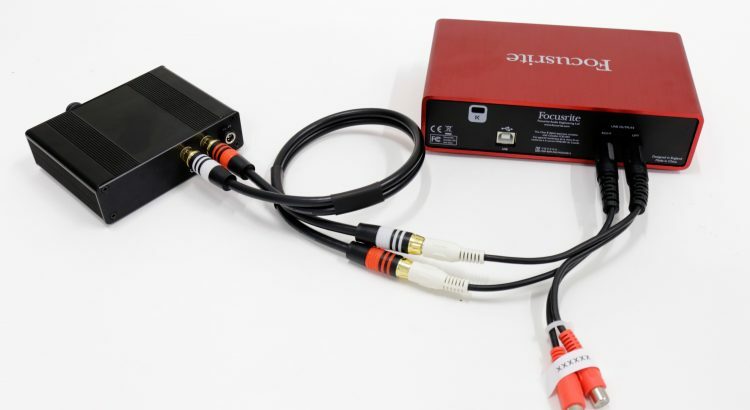 Double amp to an unbalanced amplifier – Connect a stereo patch cable from your interface’s headphone output to the input of an ordinary headphone amp. This will boost listening volume, but is generally frowned upon by the HiFi community. 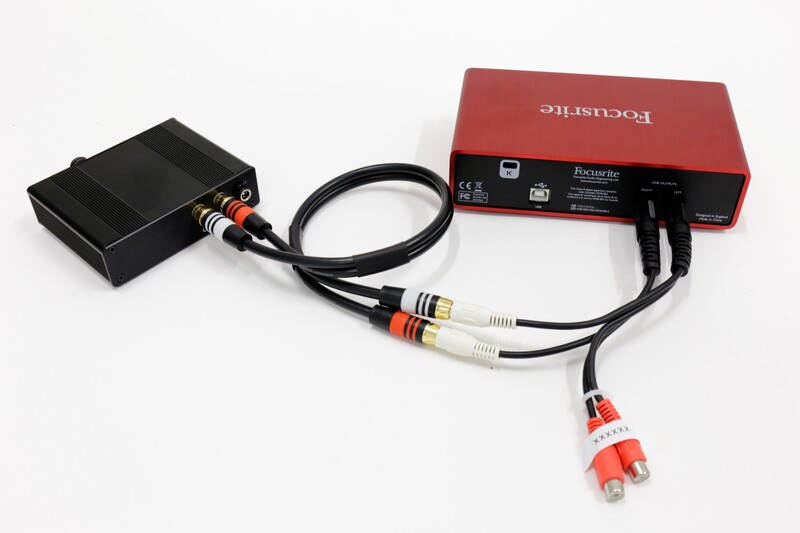 Connect balanced line-outputs to a balanced amp – Depending on the model, a balanced headphone amplifier may require a balanced headphone cable as well. JDS Labs currently produces no such design. For example, Focusrite’s Scarlet 2i2 is listed with a Maximum Line-Output of +10dBu, which converts to 2.45VRMS. Your new Objective2 should be configured with high gain of 14/2.45 = 5.6x. Low gain can be left at 1.0x. Since a configuration of 1.0/5.6x is unlisted at jdslabs.com, please mention your special request in the Order Notes field during checkout. Feel free to reply below or reach out if you need more help! Can we use mono ts jack to RCA female adapter ? There are no single-ended amplifier configurations I can think of that can directly accept a TS jack. However, I think there can be a THD+N penalty with the 2i2 when using unbalanced connectors. An active balanced to unbalanced solution might be better. However, most off the shelf ones are worse than the cable solution. There are some ebay bare board solutions though. That is true, and we have an active balanced-to-unbalanced design in the works. @Jude will be seeking beta testers ASAP. 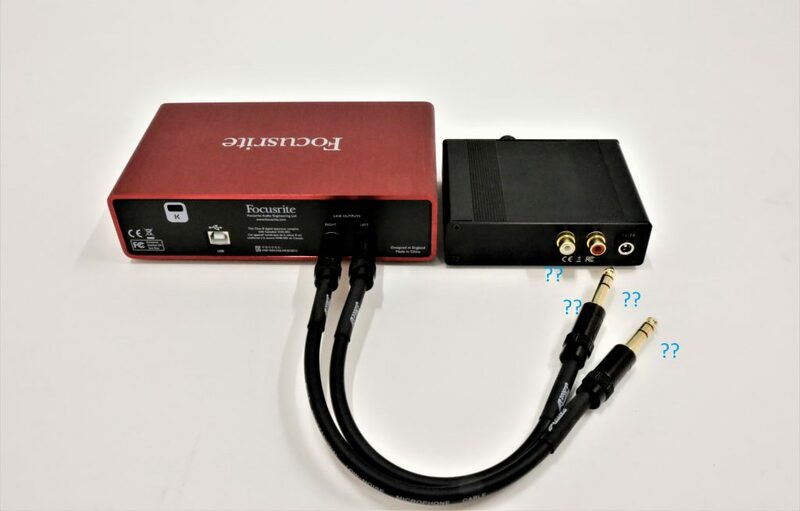 Can I connect the other two end of the TRS-RCA adapters to my studio monitors? @Ritchie – Yes, you could, but phase will be reversed to the monitors. Not ideal. Hi, thanks for the article it’s teally helpful. I’m a little confused however on whether to buy the leads as suggested in the article or whether to pick up the kind as suggested by ‘ULTRABIKE’ above? I’m not technically minded enough to understand the talk re the ‘penalty’ he referred to.